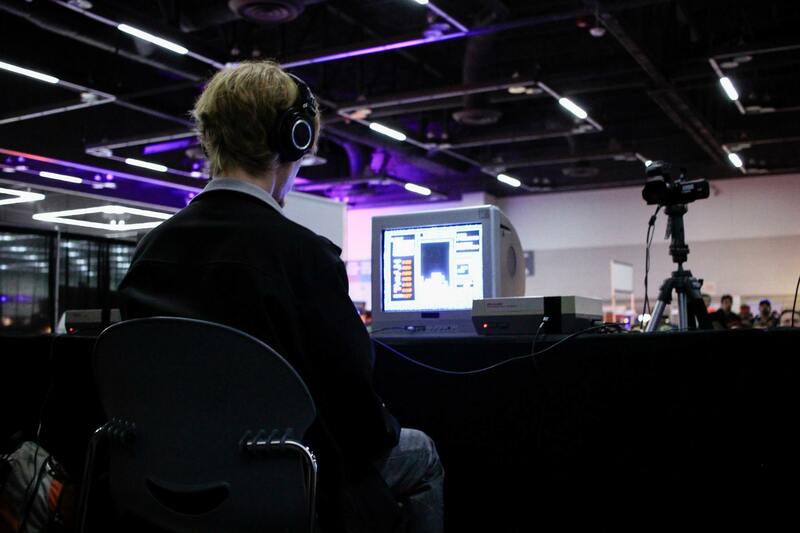 Alex Kerr is one of only eight Americans to attain Grand Master (GM) status in the game Tetris: The Grand Master 2. Becoming a Grand Master is no small feat, and requires years of practice and dedication. After grinding his way to Grand Master, Alex set his sights on other Tetris titles. 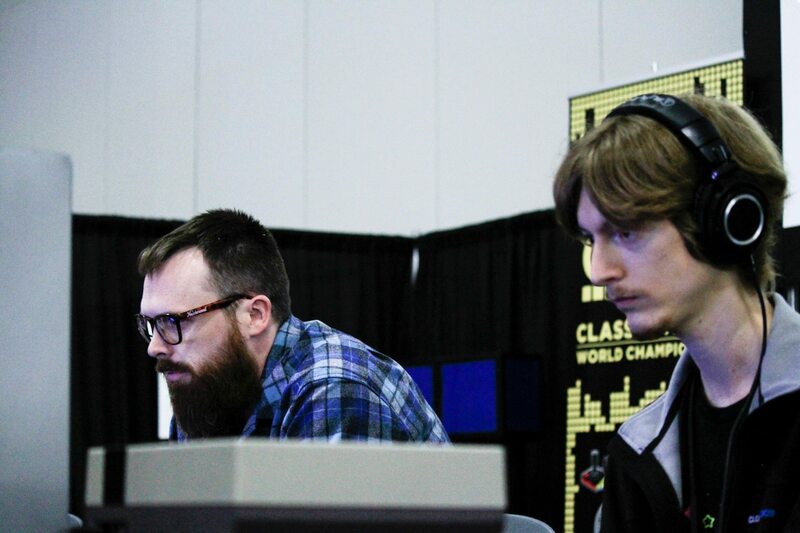 Adding to his prowess in games like TGM, Alex is also a frequent competitor in the Classic Tetris World Championship. 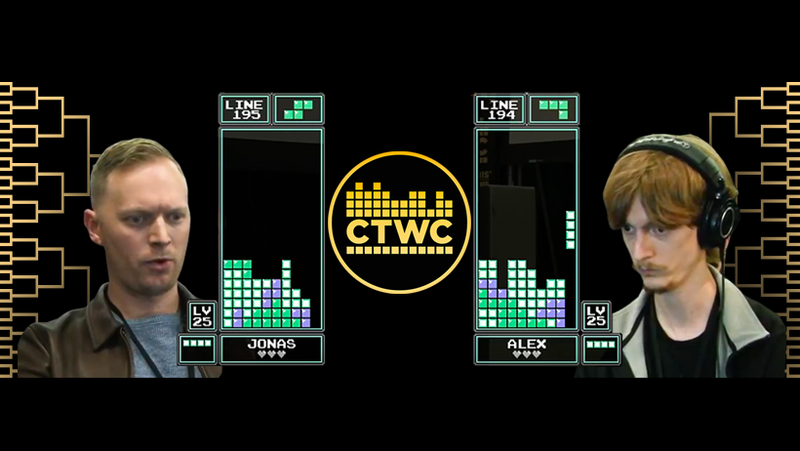 Just last year, Alex reached the CTWC finals where he battled it out with fellow Tetris pro, Jonas Neubauer. We couldn’t help but be blown away at Alex’s skills, and found ourselves wondering how Alex first became enamored with Tetris. So, we decided to reach out and ask Alex all of our burning Tetris questions! Q: What first attracted you to Tetris? A: I first played Tetris for Game Boy when I was three years old, so I can’t say I quite remember! I do know I enjoyed playing the game and comparing scores with family and friends. I thought it was cool when our family friends’ teenage son earned the Buran space shuttle launch scene for scoring over 100,000 points. The Tetris series has sort of always been with me; I tried a variety of other games as I grew up: Tetris Plus for PlayStation, Magical Tetris Challenge feat. Mickey for Nintendo 64, and so on. I’ve always enjoyed that there have been a variety of strong entries representing different styles of play. There is a lot of depth to explore around the core Tetris concept! Q: Was there anything that drove you to gain a deeper understanding of Tetris? A: I think one major turning point was when that video of NOV playing Tetris: The Grand Master 2+’s Death mode went viral online under the name “Tetris Japan Finals.” It looked so cool! I’d never seen Tetris played like that, with the pieces appearing instantly at the bottom of the playfield and being deftly maneuvered into place. I really wanted to understand what this game was and how to play it. The second turning point was when Tetris DS came out; I had a ton of fun playing Versus with friends. When I tried looking up info about t-spins online, I discovered the Tetris Concept forums and Wiki. Once I joined the online community with like-minded, passionate players, I’ve been hooked ever since. It’s been a neverending rabbit hole of topics for research and deeper understanding. Q: How has Tetris changed for you since becoming a Tetris Grand Master? A: It’s kind of hard to say. It has been a long time now since I first achieved TGM2+ GM, and an even longer time since I first achieved TGM1 GM. I’ve yet to achieve TGM3 GM, but when that day comes I suspect I’ll still approach the game about the same as I do today. Rather, I think the change—if any—must’ve come long before I became a Grand Master. Achieving this type of goal in Tetris (or any other game, hobby, job, or skill, for that matter) is a constant journey of progression and improvement; a series of incremental steps toward the next achievement or goal. There’s always something to try, something to explore, something to aim for. I think I was also already developing this mindset for other games at the time (music games, shoot ‘em ups, pinball, etc. ), so Tetris: The Grand Master was more fuel to that fire. Q: Has becoming acquainted with the inner workings of Tetris on such a sophisticated level made the game more fun for you? A: Yes, absolutely. In general, I think there are some basic things that a player can learn about how pieces move and rotate that help one know exactly what is in their control. Fumbling with a piece in an effort to coerce it into a certain position when you’re not exactly sure what you need to do (or if the move is even possible in the first place) can be a frustrating experience. Having an innate understanding of how to execute a given move or how to adapt when something simply is not possible helps make play more fluid and satisfying. I’ve also found a lot of enjoyment in the mini puzzles surrounding Tetris. There are a lot of different areas to explore when studying Tetris, whether it be the nature of randomness in different games, different patterns and strategies that can be employed, finding interesting uses of movement techniques to shave fractions of seconds off of each placement, and so on. Q: You've achieved widespread success in Tetris, including becoming a Tetris Grand Master. Of all your achievements, which are you most proud of? A: I think one of my proudest achievements is also one of the most unusual. There’s an Easter Egg in the Tetris: The Grand Master series where the game awards you a “Secret Grade” for performing Tetris art. Instead of playing normally by trying to survive and complete lines, the player must draw a “>” pattern by leaving a hole in a specific spot in every row. The player receives a special score based on how much of the pattern they were able to complete. Because the pattern takes up almost the entire playfield, finishing the last few rows is incredibly daunting! Performing a complete “Secret Grade” pattern is most feasible in Tetris: The Grand Master 3, as it shows a few more of the upcoming Tetriminos and allows you to use Hold to do a bit of strategic reordering. Very few have completed this challenge in TGM3, so I was already elated when I first accomplished this feat. However, I delved into this challenge even further; I’m proud to say I’m possibly the only person in the world to have completed the “Secret Grade” challenge in Tetris: The Grand Master 2+! I’ve tried many times to search for others who may have achieved it, but so far I haven’t found anyone else. With only a single piece preview and no ability to Hold pieces, finishing the final two rows of the pattern is devilishly hard. When I finally achieved it, my reward may have just been a plain and simple screen stating “Secret Grade: GM,” but the feeling it gave knowing it may have been the first time the screen had ever been seen in the 15 years since the game’s release is indescribable. Q: Your skills in Tetris also secured you a spot in the Tetris documentary Ecstasy of Order: The Tetris Masters. What was that experience like? 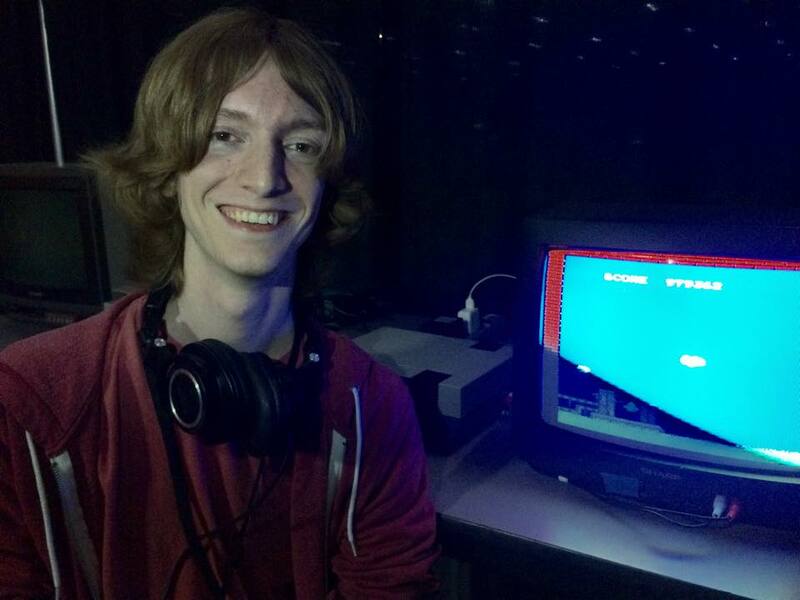 A: Becoming a part of the NES Tetris scene and participating in the documentary and tournament was an incredibly rewarding experience! I couldn’t have anticipated how things turned out. When I was first contacted by Trey Harrison, I didn’t think I’d be attending the competition as I wasn’t too keen on NES Tetris. Thankfully, my curiosity got the best of me! I ended up studying piece movement quirks in NES Tetris and was very impressed by the game’s hidden depth. It was very satisfying to understand the inner-workings behind techniques that players like Jonas had already developed purely by experience and intuition. 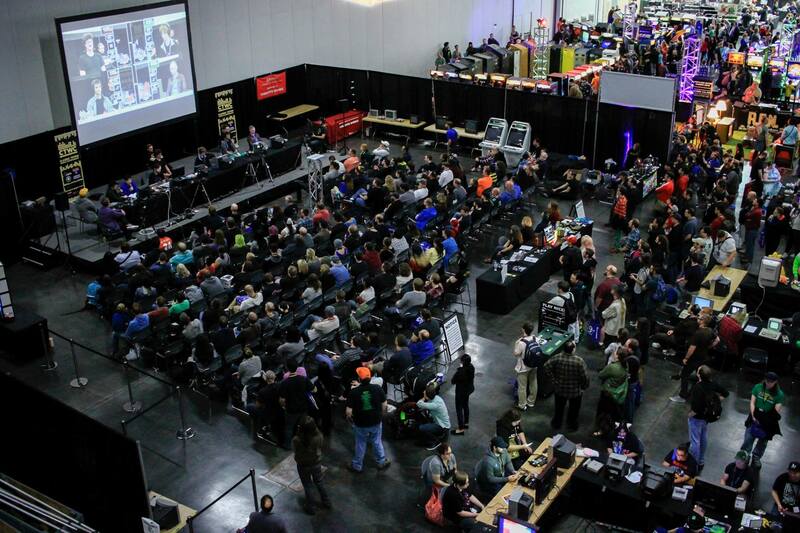 I started talking with Robin Mihara (tournament organizer) and Adam Cornelius (EoO director) about the technical details, and it all sort of snowballed from there. Just earlier that summer, I wasn’t very fond of NES Tetris; by the end of summer, I was participating in the documentary and driving down to Los Angeles with Dana, Brooke, and Pepito to attend the competition! Q: What does your family think of your status as a Tetris pro? A: My family has been very supportive of my Tetris hobby; my parents have told me they’re glad I’ve found something that brings me so much enjoyment and has connected me to a vibrant community of like-minded individuals. They watch the tournament broadcasts and send encouragement my way between rounds. My girlfriend has also been very encouraging and involved; we’ve had a lot of fun playing together and traveling to events. She helps me stay grounded in the face of the overwhelming tournament environment. I’m very grateful to have her support when the going gets tough! Q: You've played Tetris across countless platforms over the years. What versions do you find yourself returning to the most? A: My number one game is Tetris: The Grand Master 2+ as it’s an incredibly comprehensive and well-designed game. It took everything that was great about TGM1, refined it, and expanded it. The new list of game modes provided a better entry point for newcomers (in the form of a shorter, lighter Normal mode) in addition to fresh challenges for expert players (a faster and more challenging update to the series flagship “Master” mode, a mode with advancing garbage rows called “TGM+,” and the now-iconic high-speed survival mode called “Death”). Many of these base modes can also be combined with special codes for new styles of play such as “Big” mode, which challenges the player with pieces that are doubled in size. Along with an excellent selection of single player modes, it also features a wide array of multiplayer functionality; two players can play competitively (Versus with items, without items, and even a race mode without attacks), cooperatively (Doubles mode, where two players share the same playfield), and even separately (two players on the same arcade machine can play their own solo games—something I wish more Tetris games would offer)! TGM2+ also offers a superb music and sound package composed by Shinji Hosoe and Ayako Saso (a.k.a. Sampling Masters MEGA & AYA -- also known for their contributions to the soundtracks of series such as Ridge Racer, Tekken, and Beatmania IIDX). TGM1 and TGM3 are also near the top of the list for me, naturally. The whole series is excellent and infinitely replayable. TGM2+ is my favorite among favorites; it hits the sweet spot for me in terms of game design and variety of game modes. I have also been playing a lot of NES Tetris. It’s another very challenging game to master. Newcomers may get the feeling that it is visually slower than the TGM series, and therefore assume it is easier as well. However, looks can be deceiving! NES Tetris is roughly on par with TGM2 and TGM3 in terms of difficulty; it just approaches things from a slightly different angle. Although the piece fall speeds appear slower—NES never reaches the same “instant drop” gravity seen in many newer Tetris games—they lockdown essentially the moment they touch the ground. Whereas in TGM the player must be mindful of creating surfaces that allow pieces to slide safely across, in NES the player must be mindful that the stack not grow so tall that pieces can no longer reach the wall! NES Tetris is also quite harsh in terms of piece selection; the player must very carefully skim lines off the top and wait for the opportunity for another [Tetris] to come. I also love the music and sound in NES Tetris, courtesy of Hirokazu "Hip" Tanaka. Music-2 has been one of my favorite songs in Tetris ever since I first played it as a child. And, much like TGM, the sounds of pieces moving and landing are incredibly helpful in maintaining rhythm and nailing the timing for precise actions. Lately, I’ve also been playing a fair bit of Dekaris (also called Giant Tetris outside of Japan). Although its marketing leans heavily on the gimmick of giant joystick controls to go along with the theme of giant Tetris pieces, this is another game you should not underestimate. Dekaris Score Attack mode is a serious puzzle challenge that requires clever and efficient stacking to earn enough [Tetris Line Clears] to max-out before the 200 line limit. The confined play area (a 6x7 visible play space rather than the standard 10x20, and still smaller than TGM “Big” mode’s 5x10) vastly increases the severity of each mistake, but also massively rewards clever slides and twists. Q: What would you say your favorite Tetris technique is, and how long did it take you to master it? A: It’s hard to single out one in particular, but one technique I particularly enjoy is the Perfect Clear. There’s something truly satisfying about finding just the right placements to get a perfect tiling and return to a clean slate. It’s [worth] a hefty score bonus in Sega’s arcade Tetris games and the Tetris Grand Master series (the latter of which also rewards you with some congratulatory fireworks, “Bravo!”). It’s also a very powerful attack option in recent games such as Puyo Puyo Tetris. The Perfect Clear might sound like a rare opportunity that can only happen by chance, but there are actually some neat tricks that can help quickly learn and start using them on-demand. In most recent Tetris games, tetrominoes are dealt in shuffled sets containing the seven unique pieces. Knowing this randomization rule lets you take advantage of some useful patterns at the start of the game: combine the I, L, O, and J pieces into a 4x4 square, and combine the S, T, Z pieces into a sort of left or right facing arrow shape. After that, you just need to figure out if there is a way to use Hold and some clever placements to arrange three of the four next pieces into the remaining space. Some of the solutions require some trickier placements and spins than others, and occasionally you’ll get a combination that doesn’t work at all. But, if you practice recognizing the different follow-up patterns, you can score a Perfect Clear opener in the vast majority of possible piece sequences! If you’re feeling bold, you can even try to follow up your Perfect Clear opener with another; you’ll need to learn more patterns that combine into clean rectangular shapes. Pairs of L, J, O, or I can make rectangles easily, but even tricky looking shapes like S and Z can be used in some 4x4 squares when paired correctly with L or J pieces. In a somewhat related way, another aspect of Tetris I really enjoy is finding ways to efficiently clean up the playfield; trying to skim a mess off the top of the stack is kind of like looking for a “mini Perfect Clear.” Sometimes you can visualize the messy sections as layers or platforms above the rest of the playfield, and finding the perfect arrangement of pieces clears it away leaving only a clean stack behind. It’s often a crucial technique in do-or-die situations in NES or TGM, as well as after misdropping in a tense Versus battle. Being able to turn a complete mess of a situation into a perfectly platformed [Tetris] or t-spin and narrowly escape topping out is an exhilarating experience! Q: After competing in the 2017 Classic Tetris World Championship, who would you say your toughest opponent has been, and do you plan to compete in the CTWC again next year? A: That’s a tough question; competition is pretty fierce across the board! I’ve had the honor of playing with many very skilled players over the years. If I had to narrow it down to a couple of players that I’ve consistently struggled against, it would be Harry Hong and Jonas Neubauer. Harry and I have had to face each other in extremely close matches a few times now. Given how frequently he maxes out in practice streams on Twitch, I know I have my work cut out for me if we face each other again! 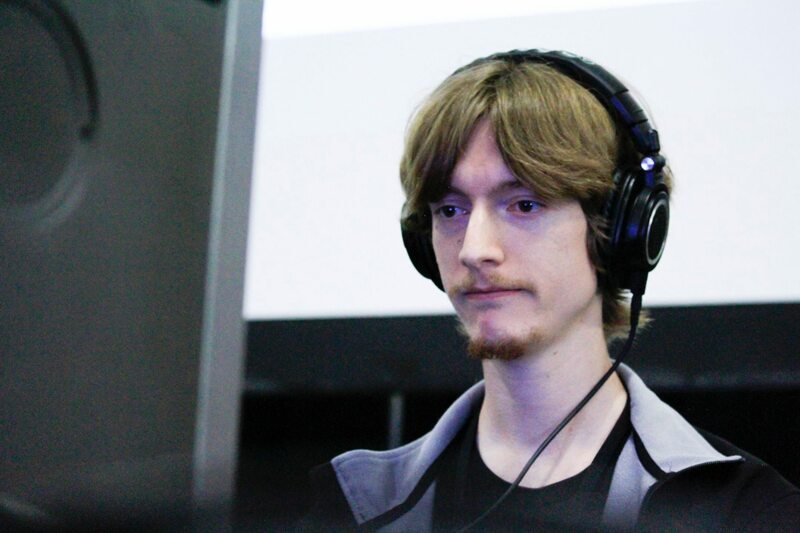 Jonas has a terrifyingly consistent track record in the competition, and his practice sessions on Twitch show no signs of him letting up any time soon. No matter who else one faces and emerges victorious, there is a pretty good chance that Jonas will appear to play gatekeeper some time in their future. Q: How do you typically prepare yourself for a Tetris tournament? A: In the weeks preceding a tournament, I try to set time aside for some dedicated practice sessions. I don’t like to overdo practice—there’s no sense “cramming for a test,” so to speak—but I also don’t want to come in completely cold. I want to make sure that I’m acclimated to the game flow of the version being used in the tournament, comfortable with any of its tricks and quirks, and confident in my consistency of performance. Sometimes I’ll do some structured drills to simulate a tournament setting (e.g., play some “no reset” runs, record scores, track averages, and aim for a minimum level of consistency in each session), but any form of play helps me get warmed up for an upcoming event. Beyond that, it’s important to maintain a normal, healthy routine: sleep well each night, eat balanced meals, and stay hydrated. I know it sounds basic, but sometimes people can lose sight of the basic things when swept up in the tension and excitement of a major event. I like to hang onto some small snacks and water bottles on hand to stave things over between meal breaks. Q: Is there anything you've yet to achieve in Tetris, but continue to push for? A: I have a long list of accomplishments I’d like to chase, but one of the most notable would be to “finish” the rest of Tetris: The Grand Master 3. In a sense, I’m close to the final achievements in the game, but I still need to improve considerably for the last push. TGM3’s Master mode has a “Promotional Exam” system that tracks player consistency; in order to achieve Grand Master, you must progress through the exam system to prove you’re worthy of an attempt to earn the title! I’m near the end of the exam progression, but I still have a couple more steps to go before I can achieve GM. I also have yet to finish TGM3’s Shirase mode; the final stretch forces you to play with monochrome [ ] shaped minos and is also faster than any Tetris game before. It’s is emblematic of the adage: “the last 10% takes 90% of the time.” I still have a lot I would like to do in other games as well. For instance, in NES Tetris, I would like to improve my consistency at scoring over 900,000 points, as well as achieve 999,999 points starting from Level 19. I would also like to improve in “Big” modes, where the pieces are doubled in size; I have yet to finish Big mode in TGM1 or TGM2+, and I have yet to achieve 99,999 points in Tetris Giant. Given that a ton of my focus has been in single player games with scoring or speedrunning focus, I would also like to set aside more time to come back and improve in Versus games. I’m less certain of what kind of “endgame goal” I would pursue, but I’d like to give it more focus and see where it takes me. Q: Do you utilize a Tetris practice routine to keep yourself sharp? A: In some sense, every attempt made is practice. I think it’s important to not give up at the first mistake, and to make the most of every attempt. I may start a game with some goal in mind, but even if that goal cannot be met for some reason or another, I can always shift gears and take the opportunity to learn or practice something else. If I’ve truly made far too many mistakes to achieve any sort of worthwhile score or goal, I might decide to quit and start fresh in order to conserve mental stamina. However, I’ll still generally make sure to return the playfield to a clean state; it’s still an opportunity to practice efficient recovery, and to take a bit of time to reflect on what can be done differently next time. When practicing, it’s important to push yourself a little bit and stretch the limits of what you once thought possible. Maybe it’s escaping a perilous situation that looked like a certain game-ender, maybe it’s eking out just a bit more speed with each piece, maybe it’s striving for improved consistency from one game to the next. Always strive for improvement. Q: What one tip could you give to aspiring Tetris players to help boost their game? A: Learn everything you can from your own play and others. Video review is something that helped me tremendously when I was learning various games. When I was working toward achieving Grand Master rank in TGM1, I watched videos by the world record holder, 777. I slowed 777’s videos down to ¼ speed and tried to predict his placements. If his decision differed from my prediction, I would pause and try to come up with the possible reasons. Was the unexpected decision strictly better than what I had predicted? Is the decision riskier than what I would be comfortable with at my level because he is going for a world record time? Or, is the move safer or cleaner than what I would normally do? Does the move use a technique I can learn now, or should I come back to it some time later? This same video review method can be applied to other Tetris games as well. Many games have built-in replay functionality so you can rewatch your own games, as well as those of high scorers and versus champs on the leaderboards. I’ve been seeing this phrase a lot in the Tetris community lately, and I think it’s a very encouraging and optimistic phrase to take to heart. Sometimes new players ask, “Is this a good score?” when they set a personal record. The answer is, “Yes!” Every new score or time is another milestone in your progression as a Tetris player; you’ve just done better than you ever have before. Everyone is on their own journey of improvement, and every journey is (and was) composed of steps like these. Tetris Grand Masters are made, not born; continue to grow and strive, and you may be surprised with how far you can go! We want to thank Alex Kerr for setting aside time to answer all of our questions. If you’re interested in following Alex, click here to head over to his Twitter, and recap Alex’s performance at this year’s CTWC by checking out the CTWC's YouTube channel! Hoping to compete against Alex in next year’s CTWC? Head over to the CTWC website for more info on how to participate, and start practicing your skills now by playing Tetris for free right here at Tetris.com!